The gross feight=The difference of some weight range/weight unit*weight price+operaion fee. 20 ranges can be added at most. 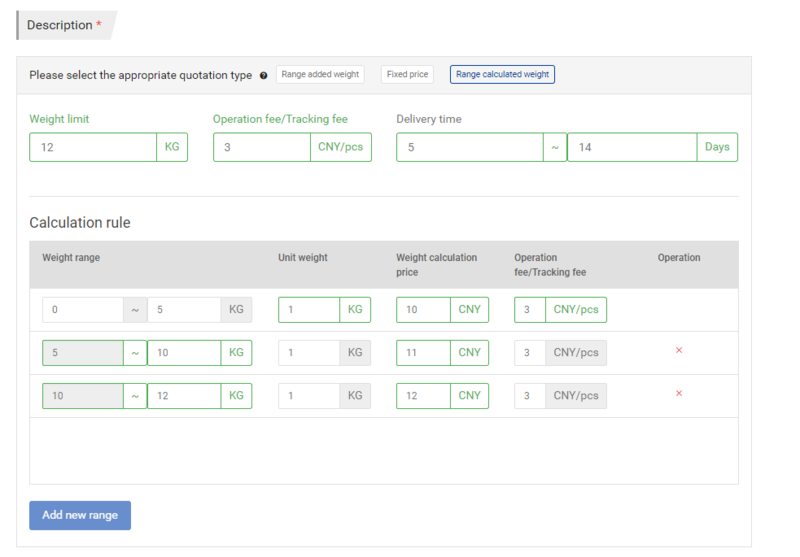 Take the above screenshot as an example, if a user enters 7.5KG, it belongs to the second range, then the gross freight would be 7.5/1*11 (the freight of the second range)+3 (operation fee)=85.5.